Fernando Alonso: What are the problems facing the double world champion? Fernando Alonso has a problem. The plight of the double world champion, who some still consider the best driver in the world, was illustrated perfectly over the course of the Belgian Grand Prix weekend - both on track and off. On the circuit, there was evidence of the best and worst of this complex man. Off it, the McLaren driver's future was one of the key topics. Essentially, Alonso has found himself in an awkward catch-22 situation, the core of the issue being whether the 36-year-old will even be in Formula 1 next year. He has lost faith in engine supplier Honda - as the Japanese company's F1 boss admitted to BBC Sport last weekend - but if the team are still using their engines next year, his other options appear limited in the extreme. McLaren are trying to get out of their Honda contract but are finding it difficult to do so. 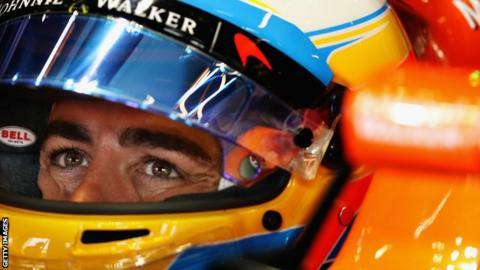 "We will see what happens in the next couple of weeks," Alonso said after Sunday's race. "I am happy with the team. We are having difficult seasons in the last three years but McLaren is one of the best teams in the world. I would be happy to keep working with them but we need to see how things evolve in the next couple of weeks." Over three days of track action, the Belgian Grand Prix provided a perfect microcosm of the situation in which Alonso and McLaren find themselves. Their other driver, Stoffel Vandoorne, was hit with 60 places of grid penalties over the weekend for using far beyond the permitted number of engine parts this season. The first half of the penalty came when an upgraded engine was fitted before the weekend, the second half when that engine developed a problem on Friday and had to be replaced. Alonso, meanwhile, was surprisingly competitive - in relative terms - at Spa, which is behind only Monza in terms of the influence of engine power on lap time. He was contending for a position in the top-10 qualifying shootout - thanks to help from 'tows' from Vandoorne to minimise the Honda's deficit on the straights - and would have got it had he not suffered a bizarre engine-related issue on his final run in the second knockout session. The Honda failed to deploy its hybrid power boost after the fast Pouhon double left-hander because of a programming error in the electronics. On that lap, Alonso took Pouhon flat out for the first time - something the Ferrari drivers managed but the Mercedes and Red Bull drivers did not, albeit all of them arriving at the corner faster. The problem was the Honda electronics were judging track position - and therefore where to deploy electrical energy - partly by throttle action. As Alonso had not lifted the accelerator, the system did not realise he had taken the corner so did not deploy after it. In the circumstances, his anguished cries of "no power, no power" were understandable. For the race, Alonso was promoted to 10th on the grid by a five-place penalty for Renault's Jolyon Palmer, and made one of his trademark brilliant starts to be seventh on the first lap. Then the inevitable happened - he started to be picked off on the straight by other cars with much more power than his Honda, which sources say is about 80bhp down on a customer Mercedes engine. This led to a series of grumpy radio messages from Alonso, as he allowed his frustration to show. By lap 24, he was down to 12th, out of the points and with no prospect of scoring any. He asked if any rain was on the horizon to give him hope, was told no, and a lap later reported an engine problem and pulled into the pits to retire. Honda says it has found no evidence of any problems on the data. McLaren are not commenting beyond what they said on Sunday - that Alonso retired because he felt an engine problem. Some believe he 'parked it' - retired a healthy car. This is normally a cardinal sin in F1, where everyone's default position is the driver races as hard as he can until such time as he can no longer, either because the race finishes, he crashes or the car develops a problem. If he did, it may not be the first time this season - some believe he did the same with a couple of laps to go in Bahrain in April, when he was similarly out of the points after a frustrating race. Alonso denied this, and will almost certainly do the same if he is asked about Spa. So people are left to draw their own conclusions. Whether Alonso did or did not 'park it', it has not changed McLaren's desire to keep him in 2018. They continue to refer to persuading Alonso to stay as a "priority". As such, it seems that whether what happened in Belgium was restricted to a few mardy radio messages, or whether Alonso stopped racing out of sheer frustration and anger, McLaren are regarding it as a reflection of where he is at. If that sounds surprising, it's perhaps because McLaren are in the same place. After three years of terrible performance and awful reliability, the team's leaders are at their wits' end with Honda. Again, they are not commenting directly on the issue publicly, but their attitude to the engine they would like to use next year can best be summed up as ABH - anyone but Honda. This saga started back in March, when the exact scale of the problems Honda had with its new engine first became apparent in pre-season testing. After a redesign over the winter, the new Honda showed dreadful performance and reliability in testing and McLaren began looking around for an alternative. First, they approached Mercedes. Initial signs were encouraging. Sources say there was a gentlemen's agreement between McLaren shareholder Mansour Ojjeh and Daimler chairman Dieter Zetsche. But Mercedes F1 boss Toto Wolff was never keen and that deal has now collapsed. Ferrari have also said no, so that leaves Renault. On the face of it, swapping the worst engine in F1 for the second worst, and waving goodbye to a net $100m (£77m) in financial contribution to the team in the process seems an odd decision, but McLaren's bosses believe it makes sense. They are finding it difficult to source sponsorship with their current performance, and Honda's failings are also costing them constructors' points. McLaren are ninth in the standings. But they know from GPS traces that their car's cornering ability is one of the best on the grid and they believe that with a Renault engine they would be able to challenge Red Bull for third overall. Even if they finished fourth, the difference between that and ninth is about £15m. If it was third, that number goes up to £30m. A customer Renault engine would cost in the region of £18m. McLaren produced poor cars when they had Mercedes engines in 2013 and '14 so it is especially frustrating to have sorted out their design department only to find themselves handicapped by their engine. The idea is to get themselves into a reasonably competitive position by 2021, when F1's engine formula will be simplified and a number of other options may be available - perhaps even making their own engine. Then there is the cost of losing Alonso. Yes, his $40m (£31m) salary is expensive, but if he left and McLaren were forced to stick with Honda engines, the ramifications are large. First of all, there are few alternatives available. McLaren are interested in Toro Rosso's Carlos Sainz as a back-up. But he is not contractually free, Red Bull would want money to release him, and he is no Alonso anyway. There are very few appealing alternatives, and none anywhere near Alonso's ability. Look back over the past three years with Honda and it is clear to see that without Alonso, McLaren would look far worse than they already do. He is the one who has scored their best finishes, who does remarkable things like qualifying seventh in Spain, who routinely makes sensational starts and puts the car in places it has no right to be. When he finished sixth in Hungary, Vandoorne was 10th. This year, his average qualifying position is 12.3; Vandoorne's is 14.8. Last year Alonso's was 11.7; Jenson Button's 12.6. He also provides a level for the car - the team always know where it is competitively, because they know he will always find its limit. There are hardly any other drivers - arguably none - about whom you can say that. Without Alonso, despite all his baggage, things would look even less rosy than they do now. And that's without even thinking about how much harder it would be to attract sponsors. McLaren's problem is that dropping Honda is proving difficult. For a start, Honda do not want to go. And F1's senior figures want Honda to stay in the sport. On top of that, the rules forbid manufacturers supplying more than three teams without special dispensation from the FIA. So if McLaren are going to get Renault engines, they either have to force Honda into a position where it wants to quit - whereby someone else would have to supply them - or cut a deal. McLaren's current plan is for Toro Rosso to take the Hondas, and McLaren to get the Renaults used by Red Bull's junior team. Red Bull and Renault are open to this. Red Bull's strategy is to run the Honda with Toro Rosso, then if Honda gets its act together, switch the supply to Red Bull as well and become their works partner. On the face of it, that's a win-win for Honda - they end a fractured relationship with McLaren, move to a team where the pressure and focus is not anywhere near as great, remove the difficulties created by Alonso's status and personality, and get the chance long-term to move to a team that will offer them at least as much potential as McLaren do. But it seems Honda does not see it that way, and is proving intransigent. 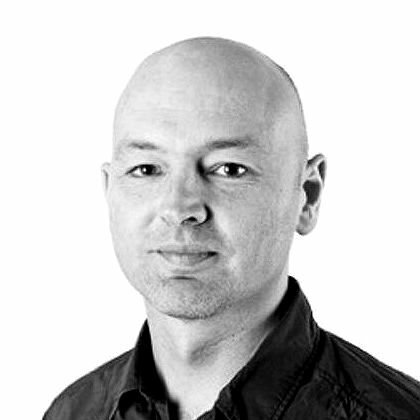 And, right now, the most likely scenario appears to be McLaren continuing with Honda. What does this mean for Alonso? Time is running out. There is a new development Honda engine being introduced for this weekend's Italian Grand Prix, which will mean more grid penalties and another frustrating weekend. On past history, it is unlikely to be a major step forward and so is equally unlikely to change Alonso's mind on Honda. But he has few other options. The top three teams are locked up and not interested in him. Williams have talked to him, but they are badly struggling at the moment and that would surely be out of the frying pan into the fire. Renault? There is a seat there alongside Nico Hulkenberg but it would require Alonso to climb down massively on his salary demands and for what? They are nowhere near ready to win either. IndyCar? Alonso's enthusiasm for a full season there is probably well under control, but he would love to win the Indy 500, after his stellar debut there this year. And there is a seat open at the Andretti team, whom he drove for in May. Or what about swallowing his pride and sticking with McLaren, even if they are still with Honda, hope Honda can improve in the second year of this engine design, and do a deal whereby he could at least do the Indy 500 if the car was uncompetitive again? "We will consider all the options," he said on Sunday. "But we did a fantastic qualifying and a fantastic start. "We won a lot of grands prix, a lot of things in our career and we should not be that far back."